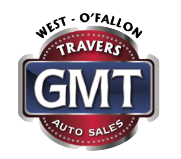 If you're a driver near O'Fallon, Missouri that is looking for a team of professionals to assist with your used car or RV financing needs, turn to your local Travers Automotive & RV Group! We have seven dealerships at five locations to serve you, so don't hesitate to get in touch with us today. With help from our user-friendly website, motorists can explore our lineup of cars or RV's, check out our payment calculator and then can easily contact their local Travers finance department for loan assistance. We've helped many of our Hazelwood, MO neighbors finance the used Jeep or family-friendly Forest River RV they've had their eye on, and we look forward to learning more about your auto loan needs. Feel free to find your local Travers location and drop by for the personalized financing experience that you deserve, or complete our credit application online now! Our Missouri auto group specializes in finding late model used cars for drivers dealing with credit challenges, so don't hesitate to complete an application from your St. Louis, Missouri home no matter what your financial background may be. Travers Automotive & RV Group is here to assist. We look forward to finding a vehicle financing solution for all our Florissant and Eureka, Missouri neighbors soon!